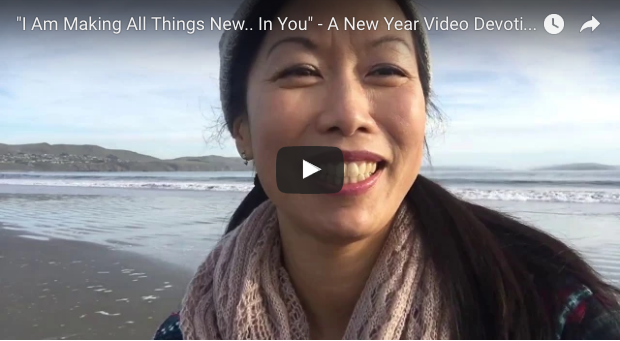 As you look to the new year, hear Jesus tenderly whisper, “I am making all things new… in you.” Just yesterday, it was my first time here at Bodega Bay, California (yes, from Hitchcock’s movie “The Birds” location!) with Eric, Josh and Caleb — and the waves were so peaceful and the ocean so calm, I had to film some encouragement here for you! The sun was about to set over the horizon when I filmed this New Year Devotional For Your Soul, inspired by Rev. 21:5 and Is 43:19.Every year, we love doing a quiet Spiritual Whitespace getaway to rest and reflect in God’s nature and I’m thinking of you. Happy New Year, sweet kindreds! Take a moment and refresh your soul. Just click below to watch today’s Devotional For Your Soul. What is God’s Whisper to You? Listen For Your One Word for 2016! I hope today’s Video Devotional inspires you to listen for God’s whispers to you, as we step into the New Year with Him! psst… Next Thursday 1/5/17, I’ll have a special One Word 2016 Giveaway to encourage you to share One Word God is putting on your heart for 2016! 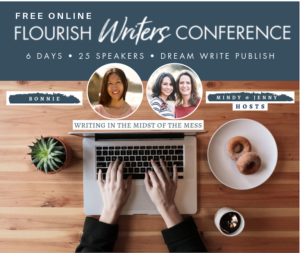 Just share your One Word in a comment on next Thursday’s blog post. Or if you have a blog, write a blog post about your One Word for 2016 and join the link up next Thursday (I’ll have a button for you to submit the url for your blog post). 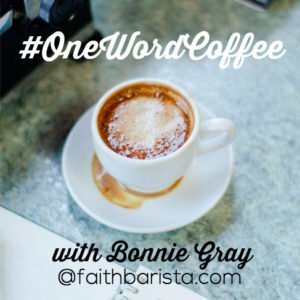 Place the #OneWordCoffee Banner below in your blog post (download it by right-clicking on the graphic & click “save image”). Let’s step away and spend some time with God, to hear His voice — to be renewed and restored. 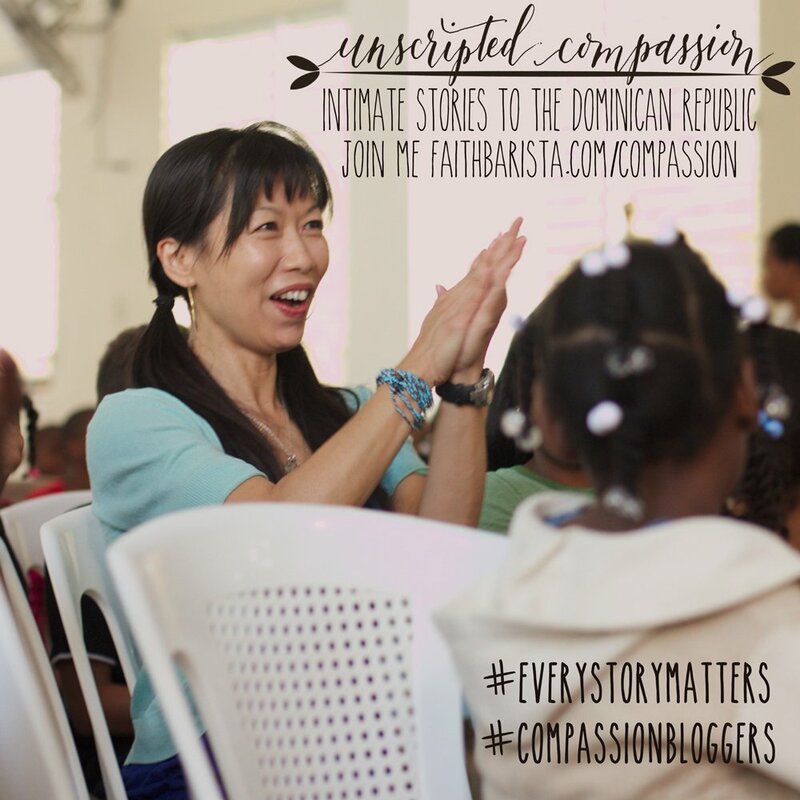 Then, let’s share our stories like coffee and encourage each other! Be who God created you to be. Share your voice: Be the Beloved. God’s beloved. Hi this is Bonnie Gray and I’m saying hello to you on the peaceful shores of Bodega Bay here in California. It’s this quiet time between Christmas and the New Year. And in this in-between time, I just want to encourage you with a few verses that have really inspired me — as we listen to what God may be placing on your heart in the coming new year. “See, I am doing a new thing. Do you not perceive it? As we think about what’s up ahead for us, maybe the past year — those stories — may be surfacing, just like these waves coming up on the shore. But, as long as Jesus is walking with us — His hand taking our into His — He can make all things new. So, I hope you have a wonderful new year and in this in-between time, may you experience God’s peace and His presence. And remember that you are loved and you are cherished. Just rest. Okay, I’ll see you next time. What is surfacing on your heart during this “in-between time”? 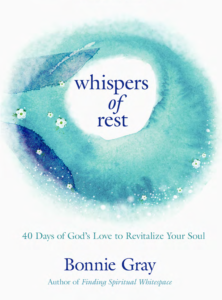 How is God quietly inviting you to experience His peace and presence? I love hearing your thoughts. Your voice makes this place real. 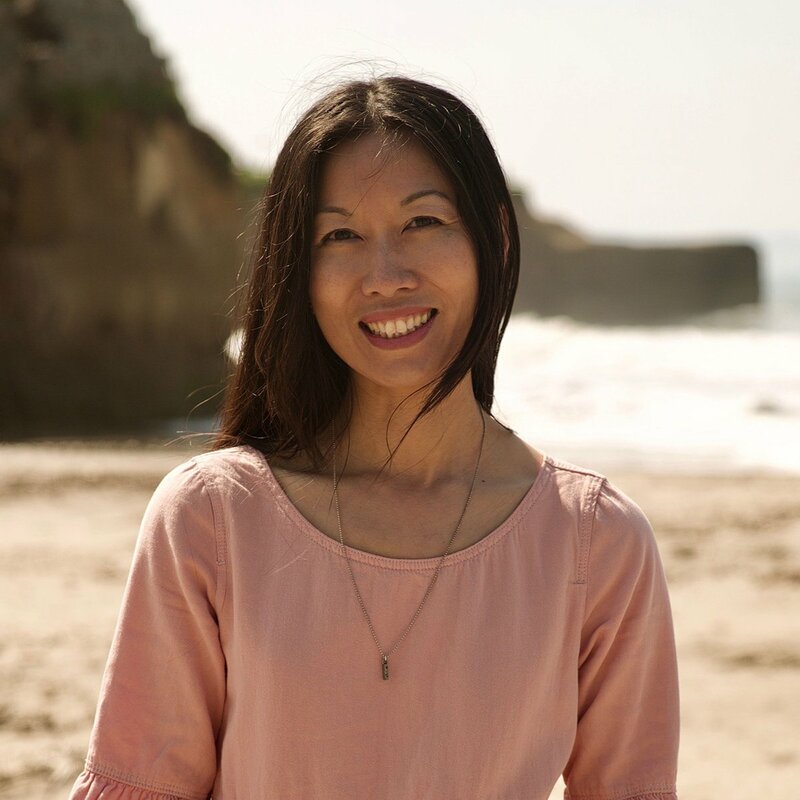 What you share inspires a conversation between us — and like a river, flows into the words that I share from my journey here with you. Happy New Year! Thank you for sharing, Bonnie. It is always so encouraging to watch your devo videos. Your face lights up as you share the treasures in God’s word. Your joy is evident. These are great verses that I need. 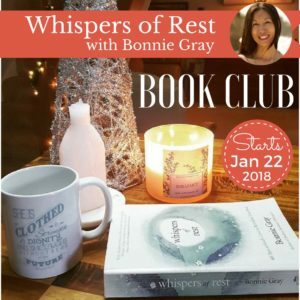 OBEDIENCE….self-control….quiet….PEACE…These are my in between meditations & preparations for a new year ahead. Thank you for your reflections & encouragement. Praise & blessings on all you do & share with us. Thanks for these encouraging words Bonnie! I felt they were truly prophetic for me as I was listening to and watching your video. May you be blessed in this in-between time as well! Bless you as you soon enter 2017, and may it be a blessed year for you and your family as well! Thank you for the video. I needed to hear those words today. Wishing you and your family a wonderful new year.m I look forward to reading your new book. God is making things new!! I have had the best Christmas present… I am getting my husband whom I married back… his health is improving, yet we will always struggle with his chronic illnesses. His cancer is gone. He has been declared cancer free. He will go in Feb for the year follow up. His depression is finally getting under control instead of being severe. He seems more like my husband the last couple of weeks than the man I have seen in the last several years. ECT has really helped his depression. Thank you for your encouragement through it all when you did share I read and was encouraged. Love you dear friend. And now I have been pondering my one word. You talked about it here and a friend has also on FB. Thinking and praying. Haven’t done one in two years. Bonnie, you are just so uplifting. I look forward to your posts as you are my favorite blogger. Have a very blessed new year with your family and living in the Love of Jesus. Keep your posts coming. Thank you Bonnie for giving all of us this community of sacred white space. God is so placing on my heart the word “Peace”–To find my peace in Him, not in others or my expectations of others. I am finally learning that as long as my sense of happiness or peace is wrapped up in others, it will always be choppy waters. Peace for all of us, the Lord’s friendship and peace in our hearts. Thank you Bonnie! I have my one-word too, and looking forward to seeing all the other God-breathed words next week! “I am making all things new in you” is especially encouraging to someone in my age bracket! 🙂 Praise God that even as our bodies get a little worse for wear, he rejuvenates our spirits. ‘Looking forward to just that in 2017, learning more about what it means to experience his peace and presence moment by moment. Thank you for your encouragement, Bonnie!